Why? 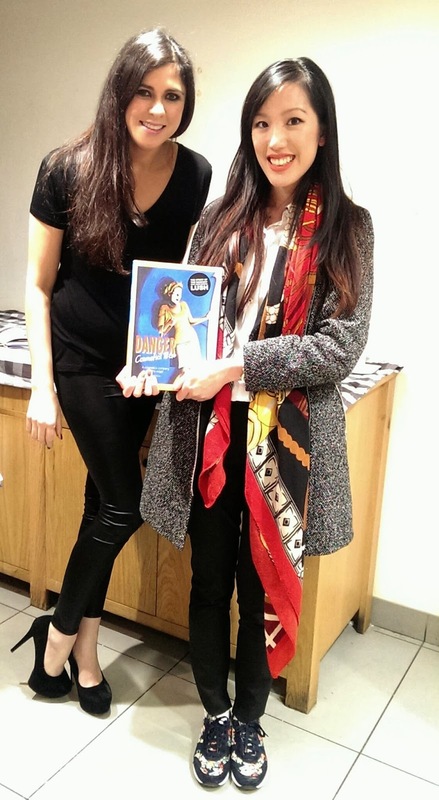 : The London launch of the Danger! Cosmetics To Go book – the story of the company which came before Lush – written by Mira Manga. What: New friends, nibbles, naughty stories and LOTS OF BATH BOMBS. Last week, I attended my first book launch. Check me out, FVBB, going up in the world!! It was the launch of Lush Cosmetics To Go book which is about the rise (and fall) of the predecessor to the bath-bombing, super-soaping company that we know and love today. I don’t want to give away too much but the book is full of interesting stories about the people behind Lush and how some of the infamous Lush products were developed. It’s beautifully put together – each page is lovingly designed with perfect illustrations and pictures to accompany the easily-relatable tone of Mira Manga, the book’s author. Read on for more Lush-ness and more bath-bombs..
involved a bouncy castle and second base) He loved her style of writing and.. well the rest is history. I’m going to give you a lowdown on my highlights of the Lush Valentines range later on in the week – so for now, here’s some photos of the Cosmetics To Go book launch. A giant cheesewheel of the famous soaps! I love Lush soaps – they look good enough to eat! *probs not advisable. An adorable way to wrap a bath bomb – this fox scarf is cleverly designed so that the ties look like ears. Only £2.95 and it’s made from recycled plastic bottles too! What’s ‘knot’ to love? WHeey. More cute bath bombs – I want them all! And a matching gift set – start your HINTING for Valentines now girlfriends! The Lush Emotional Brilliance makeup range. SOO much to choose from! These babies are vegan and cruelty-free. Choose from liquid lipsticks, cream eyeliners – there’s a colour to suit every emotion! MORE Bath-bombs. I haven’t tried them all yet- the beauty is, Lush keep bringing out new ones! I love the black packaging. Distinctive and recognisable in all beauty shelves now! Not only does it look chic, it’s recyclable too. If you collect 5 and bring them back, Lush will give you a free face mask! Nice one. So there you go – my night in a nutshell. Don’t forget to check out the Danger! Cosmetics To Go book the next time you’re in Lush. Alternatively, you can BUY IT HERE. Big thanks to the team at Lush for a great night – and a shout-out to Mira Manga who is quite possibly the nicest, drag-queen loving author I’ve ever met. Lush Christmas 2014 – Pick Your Present Now! Those bath bombs, how cute!